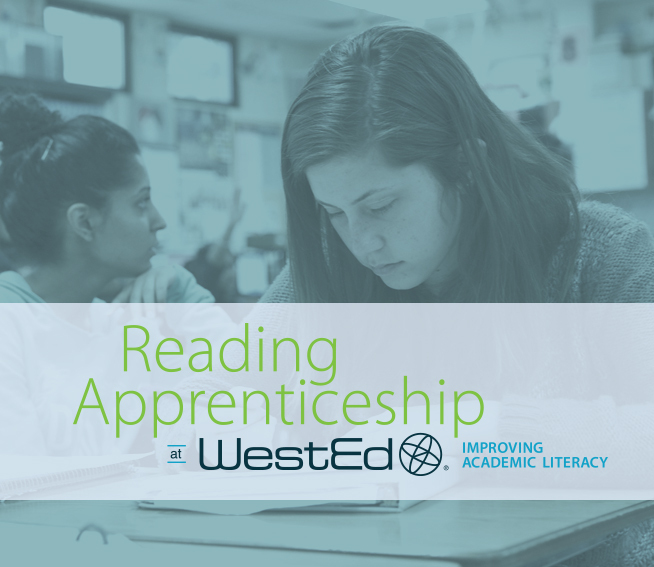 Awarded by the U.S. Department of Education, the grant enables significant expansion of WestEd’s award-winning Reading Apprenticeship program to more than 1,500 secondary-school teachers across core curriculum areas. The grant will also support development of new resources for science and engineering. Reading Apprenticeship is a professional learning framework that prepares educators in all subject areas to guide students in effective reading strategies, develop classroom environments that explicitly support social-emotional learning, and foster persistence with complex academic materials. Since its launch, Reading Apprenticeship has helped more than one million students in middle school through college, who are striving to become better readers and thinkers. The positive outcomes of Reading Apprenticeship are widely accepted. After dozens of research studies spanning more than 20 years, including three randomized control trials, the effectiveness of Reading Apprenticeship is rated as ‘Strong’ by EvidenceforESSA.org. It is also listed as ‘Effective’ by the Collaborative for Academic, Social, and Emotional Learning (CASEL). Visit ReadingApprenticeship.org to learn more. Visit innovation.ed.gov for more information about the 2018 SEED Grant awards.